Tonight’s game is Rockett’s Camp Adventures. 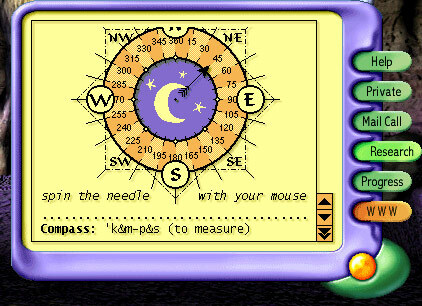 It comes from Purple Moon, a company that I remember from the late 1990s for the press they received about creating games for girls. I was sure the company would already be in MobyGames, but nope. 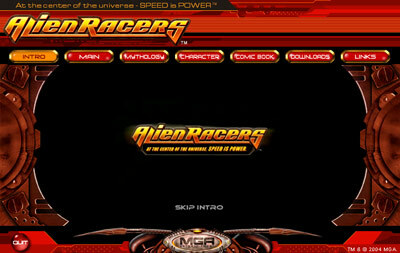 That means I have yet another forgotten franchise to track down and enter. 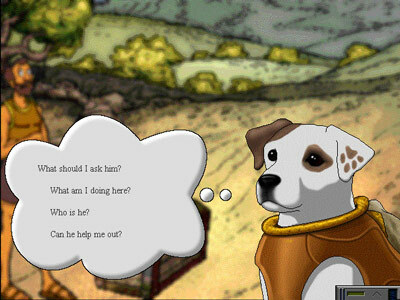 Purple Moon published a series of these games that revolved around a girl named Rockett. In this title, she packs her bag for camp and steps into some cliched teen drama the moment she steps off the bus. 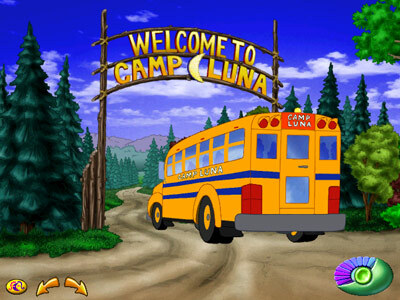 The intro of the game exhibits the campers chanting songs of worship to the camp’s namesake, namely the earth’s natural satellite. I figured that they may as well be singing to a lunar deity, but then I noticed that Luna is already the Roman god of the moon. This, as well as he ensuing drama may all be part and parcel of the summer camp experience; personally, I have no frame of reference. The teen conflict comes in the form on Nicole, ostensibly the spoiled rich girl archetype and anointed leader of “The 1’s”, the elite clique. It seems that most of the kids also attend the same school since many of them are already familiar with each other (and as I typed that, I shivered from the realization that I would probably learn their backstories when I inevitably procure the other Rockett games). Having left high school well over a decade ago, I finally understand how cliched and unrealistic these portrayals of teen social caste can be. The Nicole character is an over-the-top snob and it doesn’t really work. In order for this to reflect teen life as I remember it, she would need to inspire awe and fear in those around her. Much of that fear involves exploiting typical insecurities inherent in other teens. The other teens do not fear her; quite the contrary, they openly mock her to her face, as depicted in the fantasy in the above screenshot. Forgive the digression into thematic criticism. I will return to the gaming elements now. What there is, anyway. 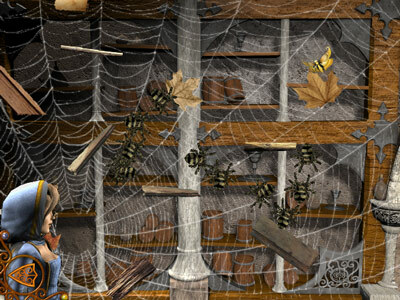 The game is primarily an overblown interactive storybook: Colorful backgrounds with mostly static characters that rarely move. The story proceeds in a linear fashion until there is a pressing realtime decision that the character must make. Well, maybe not realtime. And it’s not that pressing, either. It doesn’t drive the story in any direction. One such decision is when first encountering the Nicole character– Rockett essentially has the choice to throw her support behind Nicole and her gang of 1’s or hang out with her lame friends. No matter how many chances I was offered to snub the uncool kids, the game would not let me choose that path. There are a number of activities. The first is the canoe race which is not terribly exciting, save for whales, cephalopods and submarines that inhabit this little river. There are no real threats or competition on the river and the only goal is to beat your own time. 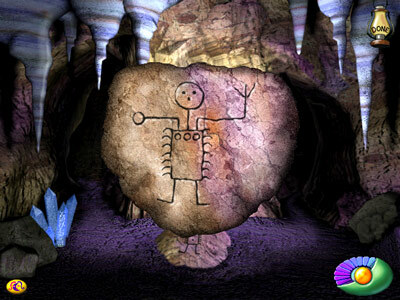 In this activity, the player must navigate through a cavern in 7 stages. 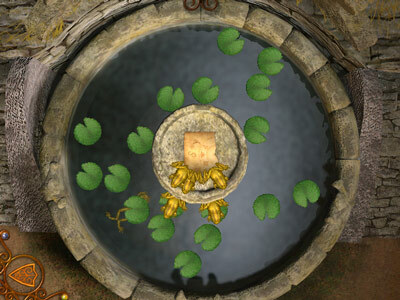 At each stage, there is a puzzle to solve that reveals the correct door. The puzzles are pretty much at the level Capcom’s Resident Evil series as illustrated by the screenshot above (hint: where does the stick dude’s longest arm point?). 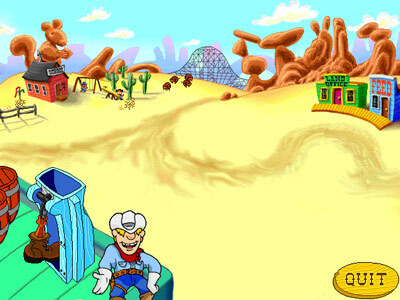 Some of the puzzles rely on auditory clues. I solved all the puzzles correctly on the first try but there are no real consequences for guessing wrong– the 3D rendered tunnel simply backs up to the same junction. It’s a 4-track studio application and reminds me a lot of 4-channel Amiga tracker modules (MODs). That made me happy. I often observed that many MOD composers used the 4 channels for beat, bass, chords, and melody. 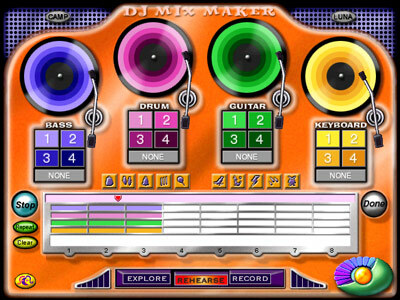 This application basically enforces that same structure, though the budding composer has 10 sound effects to choose from as well. The part that I was fixated upon was the pronunciation: ‘k&m-p&s’. Did they mean for the ampersand to stand in for pronunciation characters because they were restricted to a 7-bit ASCII encoding? Or are there font issues? I work on multi-lingual user application software so I’m naturally sensitive to these issues. 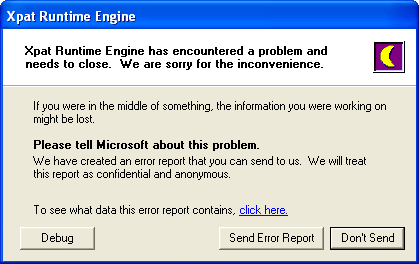 I made both of these problems go away by setting the compatibility mode for the program to Windows 95. I picked up Arthur’s Wilderness Rescue at my favorite thrift shop, still shrink-wrapped. While originally published in 2000, this was distributed as part of a nutritious Wendy’s kids meal earlier this year. I really need a better way to keep on top of these fast food/video game promotions. I honestly don’t want to be eating at all the popular fast food restaurants on a regular monthly rotation just to be able to catch these. And don’t even get me started on the breakfast cereal promotions. 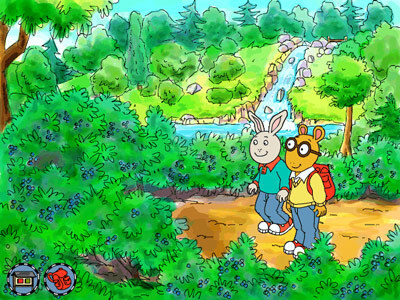 Moving right along, this is my first experience with the Arthur series, of which I already have several other titles. Only 2 Arthur games are presently in MobyGames, so guess who gets to fill in the rest of the series? This, like the insufferable Mr. Men and Little Miss series, are aimed at a very young set. Ordinarily, that would bother me. Thankfully, this game can be made to move along a little more quickly with extra mouse clicks. 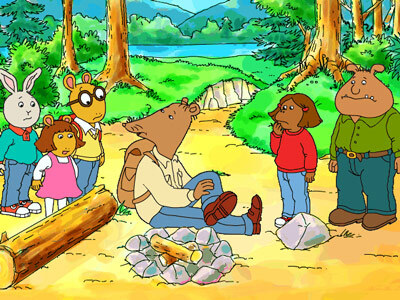 So Arthur’s teacher, Mr. Ratburn, takes Arthur and his various anthropomorphic classmates on an educational camping trip to scenic Mt. Rockslide. The hands-on learning begins in earnest when old man Ratburn trips over a log and becomes incapacitated. 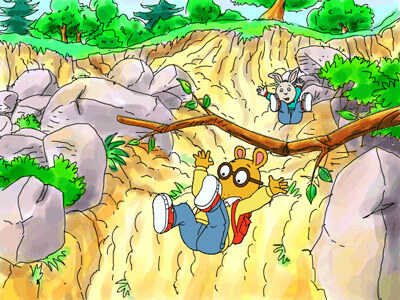 Arthur is the one in the big glasses. 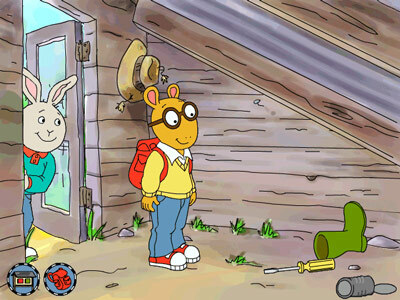 You might be tormented as I was at the question of what animal Arthur was supposed to be– sort of a Goofy-type conundrum. In turns out he is supposed to be an aardvark. Anyway, the schoolchildren, perhaps not fully understanding the peril of their situation, nonchalantly put their heads together and come up with 3 separate ideas for how they might possibly alert the outside world of their predicament. The player gets to select one of the ideas and then carry it out, exploring the wilderness to try to piece together the plan and accomplish a number of secondary goals along the way. Do breaking, entering, and theft count as separate merit badges, or are they combined into one? It’s interesting to note that you don’t actually need all the junk on offer. I surmise that if I try to approach the game using another solution, other items in the shack would be applicable. Irresponsible wilderness lessons aside, I have to give the game credit for its marvelous art style. Look carefully– all of the scenery is crafted to appear as watercolor paintings. There is also a trove of information to be unearthed as you photograph the sundry flora and fauna. 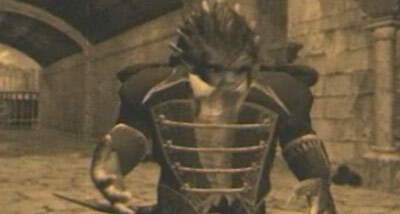 After doing so, the game regales the player with trivia regarding the subject of the photograph. As always, I have a huge stockpile of educational games that are conspicuously absent from MobyGames. DJP Mom and I continue to answer the call. Tonight, I attacked 2 different, early Macromedia Director games. In both of them, I felt that something was missing. Like, animations. Both games wanted archaic versions of Apple QuickTime that I was unwilling to install. Some games fail to run if they don’t get their desired versions of QuickTime. Tonight’s pair just silently refuse to play animations which makes certain junctures a bit confusing. The first of the pair is Wishbone and the Amazing Odyssey. Wishbone — apparently the canine star of a late-1990’s, PBS-produced TV show — finds himself washed up on an island where a city is burning in the background (turns out to be Troy). Pieces start falling into place and he figures out that he seems to have taken on the role of Odysseus in Homer’s classic epic. 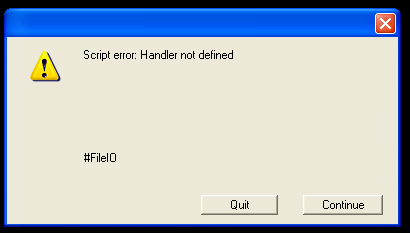 That’s “Script error: Handler not defined … #FileIO” (reproduced textually for the benefit of search engines). That prohibited me from getting too far into the tale. Too bad, too, because the credits go on for pages. A lot of people really wanted to make this game successful. Ah, modems; remember those? Anyway, you’re a deputy, the bad guy goes by the name of Bandit Bob and his dastardly crime is hiding gold bars all over town. Your job is to find the gold. You get to drop barrels into this automatic boot device and launch them at random citizens — and you’re the deputy lawman, remember. Hitting a target always has comical, good-natured results in this kids’ game. I didn’t get the full effect with a number of the targets. The screen would temporarily blank and I could tell that the game was trying to invoke the QuickTime Player to handle a more detailed animation. I worked through a bunch of educational/kids games in this final push towards 10K points (not sure if I’ll actually hit that goal by January 1st, but it won’t be because I don’t have enough material stuffed in the MobyGames submission queue; as of this writing, I have 13 new games waiting for approval which might be a personal record). Let the record show that I gave Pecos Bill my best shot to no avail. The game wants 640x480x256, and I just couldn’t get my system into that mode, not even with all the compatibility settings. But I do have a rogue version of Apple QuickTime 2.0 running around my system now, thinking that it’s in charge of viewing QuickTime, JPEG images, MPEG movies, and assorted other file types. I then dove into Fisher-Price: Learning In Toyland, a series of games & activities that, while simple, can be described in a complicated manner. For example, I described Fliptrack Mountain to MobyGames as dealing with transport logistics at a level that a child can understand. 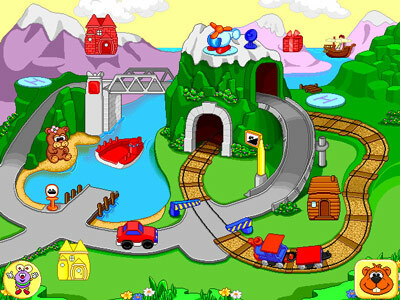 The game presents you with a transport task (like delivering a present from the top of a mountain to a house elsewhere on the mountain) and challenges you with deciding what transport option would be most appropriate– car, train, boat, or helicopter. Ahem, I know cookie recipes and at first I was ready to call nonsense on the ratios represented in this recipe. But then I noticed that it just seems to be a matter of making rolled butter cookies, and the proportions look a little better. 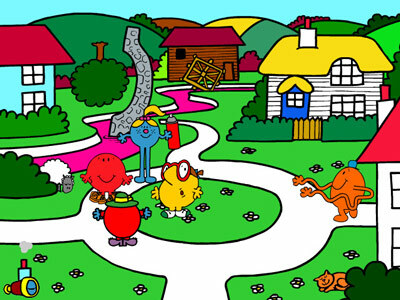 I subjected myself — however briefly — to another Mister Men and Little Miss title (you may recall The Adventures of Little Miss Scatterbrain). This game dealt with one Mr. Tickle. These games are perhaps more insufferable than the Make My Video games, though I concede that at least these have an excuse since they are directed at a less serious market. That does it– I refuse to actively seek out any more of the titles in this particular series, and I know there are a bunch. MobyGames is going to get a really lackluster description for this title since I simply could not handle it for very long. 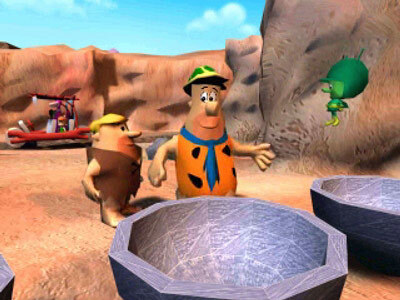 But then I tracked down an awesome little game based on The Flintstones called Bedrock Bowling; perhaps not strictly educational but definitely kid-targeted, so grant me some reprieve today. Curiously, it comes from a developer named Adrenalin Entertainment which, if you examine their record, already has a few bowling-themed games to their record. This makes me wonder if they went out of their way to come up with a bowling angle when tasked with creating a casual game for the Flintstones franchise. Fred Flintstone is ready to clock out of work and practice for the bowling tournament but his boss threatens him with summary termination if he doesn’t finish a series of trenches by the next morning. A little green, floating, omnipotent alien named The Great Gazoo shows up and saves the day. Gazoo strikes me as a highly insecure Q-like being, who really just wants people to like him. Anyway, he uses his powers to create a series of trenches for Fred. Then he helps him practice bowling by giving him some giant bowling ball half shells that he can use to race through 8 trenches. 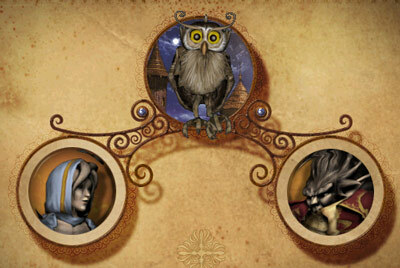 The levels are highly detailed and animated and quite fun to play. Each lane has 2 segments and you have to do “well enough” by the checkpoint in order to continue with the second segment. I could never quite figure out what “well enough” was, though. It didn’t matter, though, since nothing ever prohibited you from progressing to the next of the 8 lanes. You basically get to interact with things on or around the stage, and you can poke the young girls to make them dance for you. 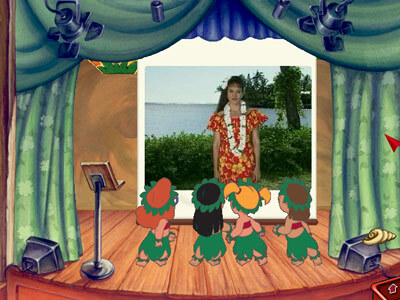 You can pull down the screen to watch an FMV of an actual hula dance lesson. 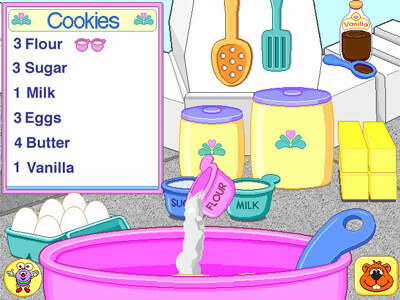 The title is supposed to consist of 9 minigames of which this is the first. I eventually learned that clicking on the shell carries me to minigame #2 in which I am expected to help an otherworldly monstrosity by the name of Stitch bumble his way around his spaceship’s crash site picking up junk. I guess if I’ve learned anything from educational games this year, it’s that there’s a threshold to what level of educational game I can tolerate– the preschool/toddler games are right out. On the other hand, I really enjoyed the Spy Kids Learning Adventures series, which were geared for ages 7-10. Take from that what you will. Hey! Do you need the PDF for Underground Affair? I mirrored it here after rescuing it via the Internet Archive: Spy Kids: Underground Affair. Regrettably, I can’t find a copy of the PDF for The Candy Conspiracy. 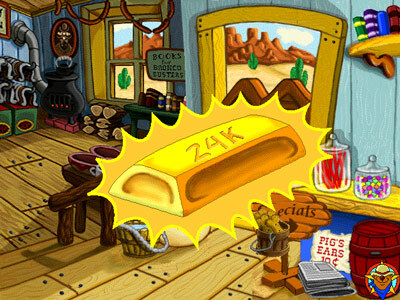 It’s time to put this Spy Kids Learning Adventures series to rest and eat up the free MobyGames contribution points that are basically guaranteed by 2 more Macromedia Director-based games: The Nightmare Machine and The Candy Conspiracy. Or not. 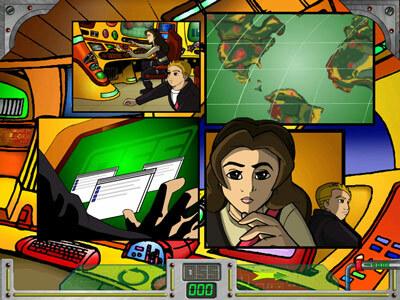 To review, these Spy Kids games are animated comic book/educational games that each have 8 minigames as well as a supplementary puzzle book whose puzzles must be solved and the corresponding codes entered at certain junctures in the storyline (for example, in order to gain entry into the enemy’s base; now why does the spy service’s computer control the codes for the enemy’s base?). 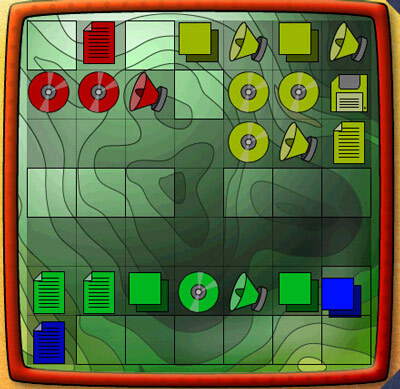 Each puzzle book has 14 puzzles which remain largely the same from episode to episode. But there is consistently 1 or 2 that trip me up, usually the word unscramble. There is also the word search, which is not difficult, just tedious; most of the puzzles can be solved in under 30 seconds, but the word search requires finding about 30 words in a letter grid, then using the uncircled letters to yield a code phrase, key letters of which yield the final 4-letter code word. And if the weird puzzles didn’t stop me, the baffling minigames sometimes would. 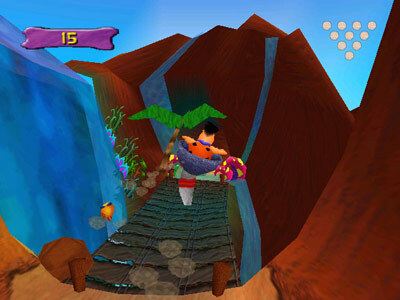 The previous minigame is Penguin Path from The Nightmare Machine. You need to toss fish into unoccupied squares in order to goad the flightless birds into moving. 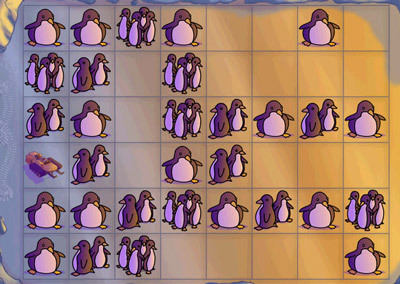 There’s a pattern to how the penguins move, and how to determine which will occupy the square after several penguins rush to it. I never figured out the pattern, but I still got through by focusing on moving one bird at a time. All the series games seem to have a pair-matching minigame, so I got lucky there. Well, notwithstanding that the games have 20 pairs to match on the medium difficulty level. As in previous games in the series, I often chanced my way through certain minigames, never really figuring out what was going on. Such was the case with Epidemiological Excitement!, my pet name for Incident Reports from The Candy Conspiracy. The thrust of this game is to study incident reports to find the center of an outbreak of odd behavior wherein young people are eschewing playtime in order to focus on studies and chores. Unfortunately, while I bumbled through this puzzle once and made it past the next 2 minigames, I soon faced the third obstacle — random game crashes. And when I restarted, I had gotten over my beginner’s luck with this game.